First an update on the 60 &61 bus routes. On 20th April about 150 people turned up to hear Mark King’s proposals for saving the bus route 60 & 61. Thank goodness the weather was kind so we were able to meet in the open, there being far too many to fit in the café or the community kitchen. As a result of that meeting the council could be left in no doubt as to the strength of feeling about the importance of these bus routes. A new petition was raised and got about 500 signatures. At the council meeting on Weds 11th May the Council approved a maximum of £60,000 to be negotiated with Local Link under the Di Minimus regulations for a sustainable transport solution. Torbay Council are currently drawing this up and will meet with Local link as soon as possible. Following Mark King’s intervention, Local Link applied to the Department of Transport to extend the route closure date at the beginning of May. This was supported by a letter from Torbay Council. Mark spoke with Local Link on 19th May, and as I write, they have not yet received a reply from the DoT. They are going to check on the progress of the request to extend the closure date so they can continue the service. Mark King stated that it would be most unusual for the DoT to refuse. TCDT has started a conversation with interested parties to see how we can move forward during this time of reprieve. On 16th April I visited the ‘Dangerous Dads’ group who were celebrating their first anniversary in Torbay. This group encourages dads and their kids to get out in the fresh air and have some old fashioned fun. They try to always incorporate a fire in their times together as nothing beats the excitement of roasting marshmallows on sticks over a real flame! 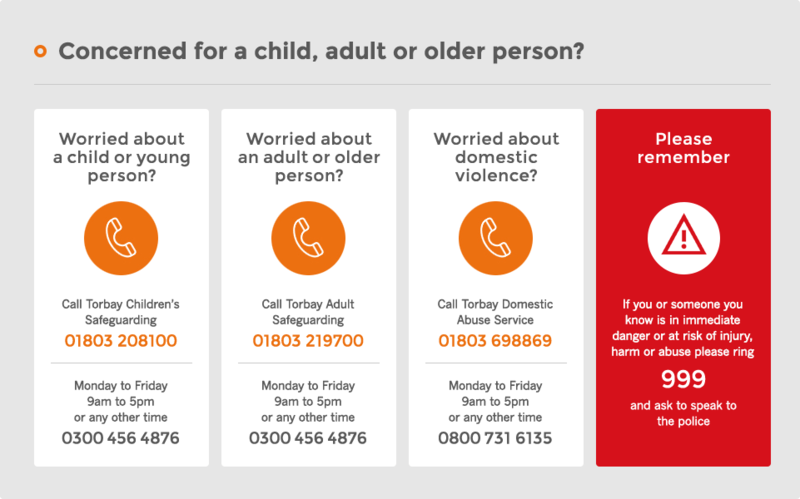 If you would like to know more about Dangerous Dads then get in touch with Dan on 07905 765 263 or email: ddTorbay@gmail.com. They would love you to join them. I popped in to see Kay at the Karing Office and she told me that they are averaging 90+ journeys a month getting people to and from medical appointments including trips to the doctor, dentist and optician. There are growing calls on this service which is open to anyone not just those who are patients of Pembroke House surgery. If you are a driver and have a few hours to spare a month then please get in touch with Kay to volunteer. This is such a valuable service to those who cannot drive themselves. Karing’s very popular coach trips are up and running again this summer. It is not too late to sign up. You are welcome to drop in for a coffee and a chat or join one of the afternoon clubs. Call Kay on 01803 524799 to find out what is available. Volunteers are also needed for the wonderful service Contact the Elderly. They need both drivers and people to host Sunday afternoon teas for the elderly. Steve Finchknowell spoke passionately to me about how much the people who go to these Sunday teas enjoy it and how much he, as a volunteer driver as well as local co-ordinator, loves this work. If you find Sundays lonely why not get involved? You can contact Steve on 01803 292853.